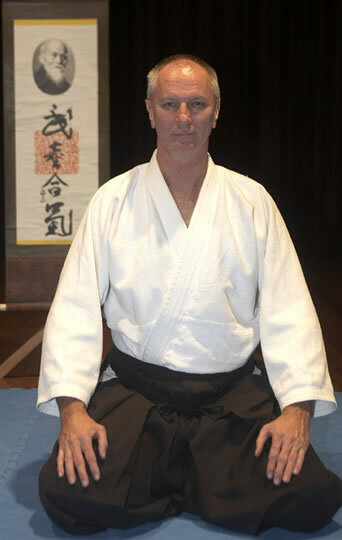 Mike Carter is an assistant instructor and has been a student at the Ku-ring-gai dojo for 23 years. With a background in Asian martial arts, he trained in Budo-Kan karate for seven years in the ’70s achieving Shodan black belt grade. He also trained in Tai Chi Chuan for 2 years before starting Aikido in 1993. Mike lives on the central coast so every week he has made the one hour trip from his home to Aikido practice – a good example for the many students who think that they have to travel too far to the dojo.